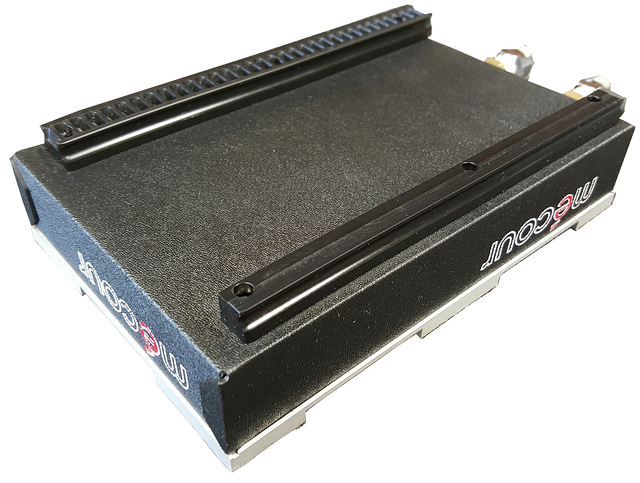 The 80-02HAML/ULT was designed specifically for the University of Manchester, UK to fully integrate with their Hamilton STAR deck. The thermal block was mounted to the standard STAR carrier to provide easy access and relocation to other sections of the deck or other STAR decks in their lab. 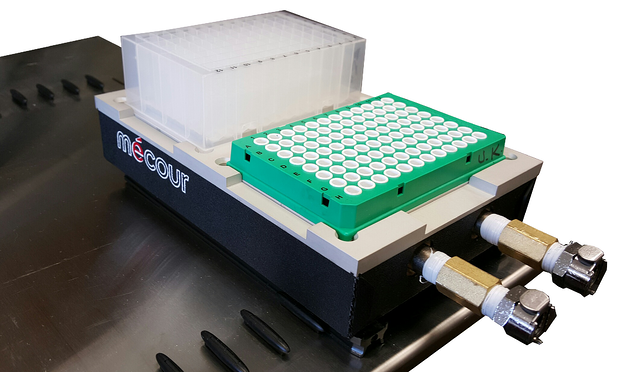 Unit is compact in design, requires minimal additional deck space and will provide end user with a controlled low temperature of -50°C on the deck with active pipetting procedures. Consumables used are 2.2mL Deep Well Plates. Condensation is controlled via the addition of a clear acrylic top cover (manually removed) that provides counter sunk openings aligned with DWP wells for unencumbered pipeting. 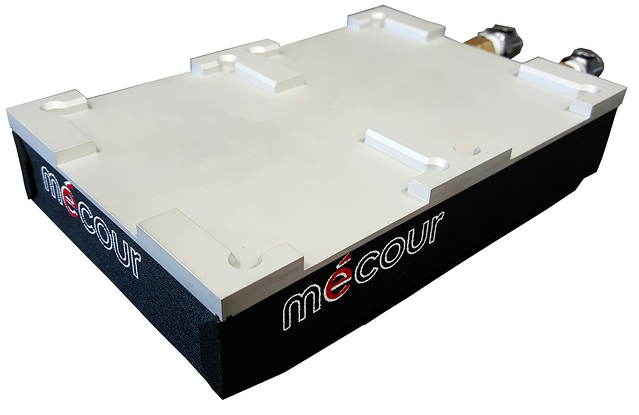 MéCour provides the standard five-position thermal unit position thermal unit for the STAR deck and multiple other thermal units that accommodate tubes, vials, and reservoirs , and various combinations that incorporate both plates and tubes.